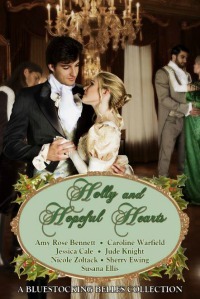 I hope you enjoyed your stay in Regency England via Nicole Zoltalk’s Blog. You are now in 17th Century England! Thanks for stopping by and welcome to London in 1645: a time of intense political and religious upheaval. In 1645, England was in the midst of a civil war between King Charles I with his Royalist supporters (or Cavaliers) and Parliamentarians (or Roundheads) who wanted a parliamentarian government rather than a royal monarchy. The English Civil War lasted from 1642 to 1651, and the end saw the trial and execution of Charles I (Beheaded in 1649), the exile of Charles II (in 1651), and the replacement of the English Monarchy with the Commonwealth of England (in 1649-53) followed by The Protectorate under Oliver Cromwell (in 1653-1658) followed by Richard Cromwell (in 1658-59). The English Monarchy was restored in 1660 when King Charles II returned from exile and retook the English throne. This date also marks the beginning of the Restoration period of England. 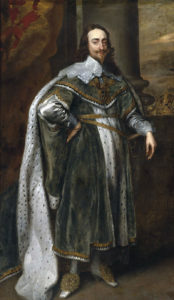 The period of time between the beheading of Charles I (in 1649) and the Restoration and return of Charles II (in 1660) is known as an Interregnum. Religious Upheaval, Puritanism, and an Attack on Christmas! By the mid-17th century, Puritans—whose initial goal was to purify the Church of England and abolish any connection with Catholicism due to the idea that the entire organized religion of Catholicism was corrupt—had considerable influence in America and most of Europe. Puritans had power in government and thus the ability to influence laws. In the 1640s, the parliamentary party (working within the elected parliament) began working to suppress saints’ and holy days, including Christmas! This attack on Christmas came about for several reasons: they disliked the extravagance and disorder associated with the celebrations surrounding Christmas, and they saw Christmas as an unwelcome reminder of Catholic traditions (Christ’s mass). Further, they argued there was no biblical justification for celebrating Jesus’s birth. By 1644, parliament went so far as to stress that December 25th should be a regular day of fasting and humiliation, as it happened to coincide with their weekly holy day. Further, people were directed to consider it a specific time of penance for past carnal delights associated with the holiday. In January 1645, Parliament fully abolished and made illegal any observation of holy days, apart from Sundays. 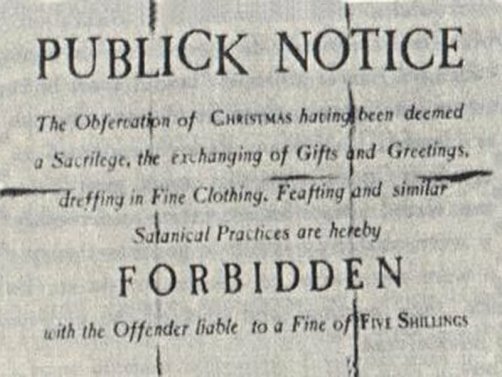 By 1659, Christmas was even abolished in parts of America, specifically the New England area, which had a strong concentration of Puritans. In fact, though the ban on Christmas in America was repealed in 1681, it wasn’t until the mid-19th century that people widely began celebrating Christmas again in Boston! 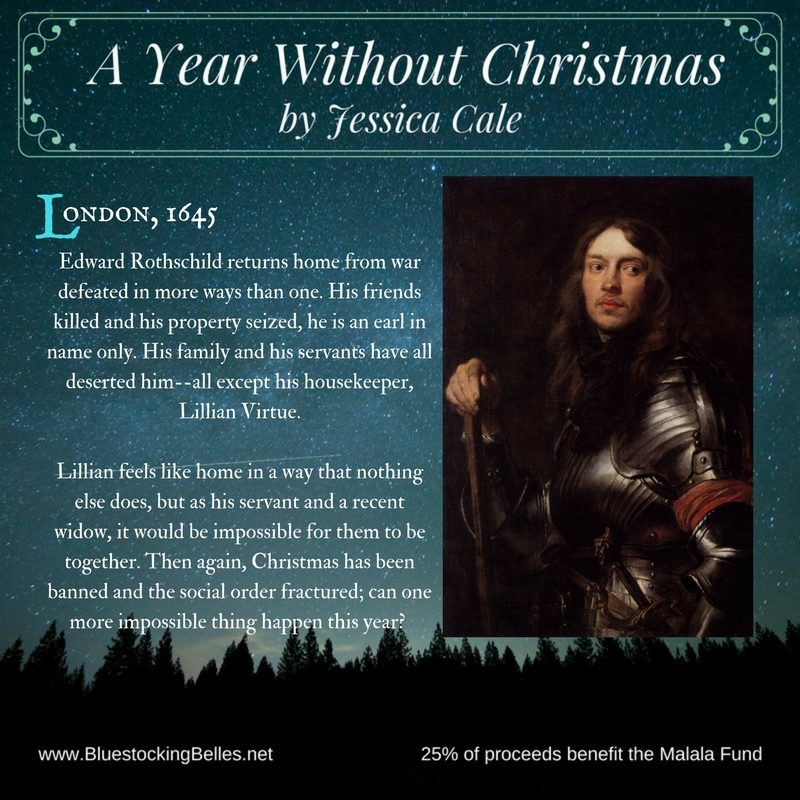 A Year Without a Christmas from Never Too Late takes place during this time, when Christmas celebrations were prohibited, and is a theme of the story. We’ve all seen the extravagant neck ruffs associated with the Elizabethan era. By the 17th century, ruffs began to disappear to be replaced with broad lace or linen collars. Sleeves, which had previously been tight and fitted, became loose and flowing—many had slashed sleeves which revealed the shirt or chemise beneath. Women’s clothing still consisted of bodices, petticoats, and gowns with wide lace collars and matching kerchiefs. Waistlines raised and lowered throughout the century, favoring a longer, loose silhouette. Men wore shirts, doublets, and hose, and for the first time, shoes began to have heels. The influence of Puritanism can be felt in fashions of the time, with many apart from the extremely wealthy wearing more somber colors and significantly less lace, which was considered extravagant and wasteful. However, the higher the rank, the more lace was worn as success in Puritan eyes mean that a person was particularly blessed and therefore more Godly. Women wore the bulk of their hair loose, with the top section pulled back into a bun, and often had bangs or fringe. 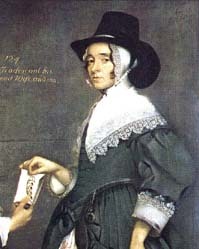 Married women quit wearing lace caps so characteristic of the previous era. For men, long curls were fashionable. 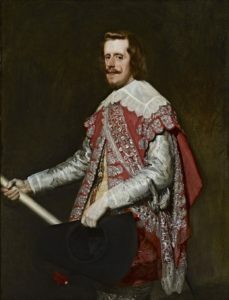 Cocked hats, pinned on one side with a mass of ostrich plumes was characteristic of the 1630s. The ascendance of the wig did not come about until the 1660s. 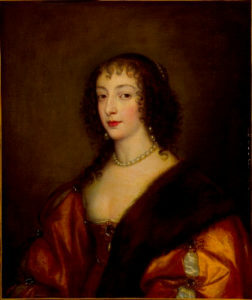 Hester Tradescant, second wife of John Tradescant the younger, attributed to Thomas De Critz, 1645. 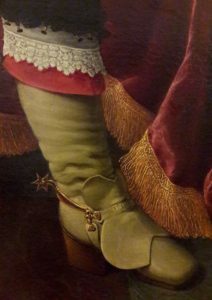 Fashionable heeled boot with butterflies to prevent chafing from spurs. 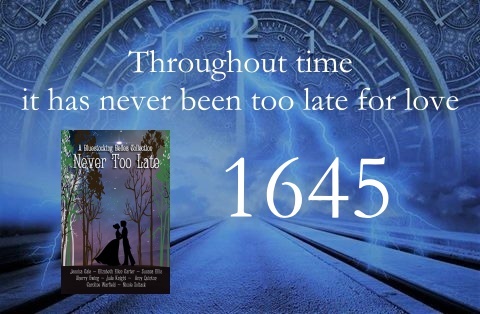 Comment on all eight blogs in our tour and be entered to win a $25 gift voucher from Amazon and a print copy of Never Too Late! You can get to all eight blogs via the time machine page on our Bluestocking Belle’s website once all tour stops are published. Thank you for stopping by. We hope you found your stay informative. 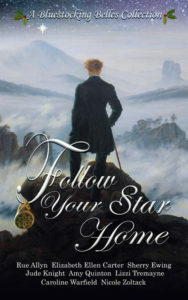 Your next stop, takes you back to the beginning of the tour on Jude Knight’s blog, where you’ll visit New Zealand in 1886. Or you can return to the time machine page on our Bluestocking Belle’s website and pick a year. I wish you safe travels. Good luck. Try not to land in the midst of the Battle of the Somme! The Motley Meddler Strikes Again! I love this historical tour. It’s very interesting to learn more history. I really enjoyed this story. Thank you. Wow, there was a lot of upheaval going on, and that ban on Christmas. Thank you for the post. Very interesting. I can’t imagine no Christmas or some type of celebration like that. Oh wow Christmas against the law! Glad that changed! I would hate not having Christmas! Love your pictures too! I would certainly miss Christmas if it was banned now. Thanks for the information. Congratulations to the winner of the Belles’ Time Tour contest. 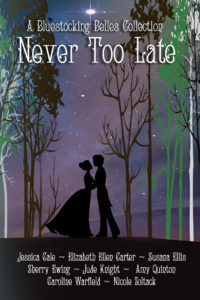 Monika Page, you have won a $25 Amazon gift voucher, and a print copy of the Belles’ anthology, Never Too Late. Some of the individual blogs also had prizes. In 1886, Jay Hicks won a mug showing a map of the British Empire. In 1814 at Vauxhall Gardens, Roxanne Twisdale won a Shakespeare ornament, a Vauxhall necklace, and a bracelet. In 1795, Janet Barrett won her choice of any of Elizabeth Ellen Carter’s backlist. In 1916, Kelly Braun won a colouring book and a signed copy of An Open Heart. Thank you to all who commented on our blogs. We hope you enjoyed your tour around the years in our stories.